Third-generation racer Aaron Seton will join the TA2 Muscle Cars field when it makes its debut at the annual Muscle Car Masters at Sydney Motorsport Park on June 9-10. The son of two-time Australian Touring Car champion Glenn Seton and grandson of 1965 Bathurst 500 winner Bo Seton will race a Ford Mustang owned by former Supercars privateer Craig Harris for Castrol Harris Racing. Previously listed as an invitational round for the category, the popular retro racing event has since been changed to a points-paying weekend and will host round three of the 2018 Performax TA2 Muscle Car Series. Seton has been touted as a future star of the sport after picking up a Class B title in the Porsche GT3 Cup Challenge in 2015, as well as victories in the 2016 and 2018 editions of the Bathurst 12 Hour, firstly aboard a Class I MARC Ford Focus, then with the Class C BMW M4 GT4 alongside Matthew Brabham and Tony Longhurst. After sampling a Supercar in the Kumho V8 Touring Car Series in 2017, Seton has his eyes set on establishing a career in the Virgin Australia Supercars Championship. 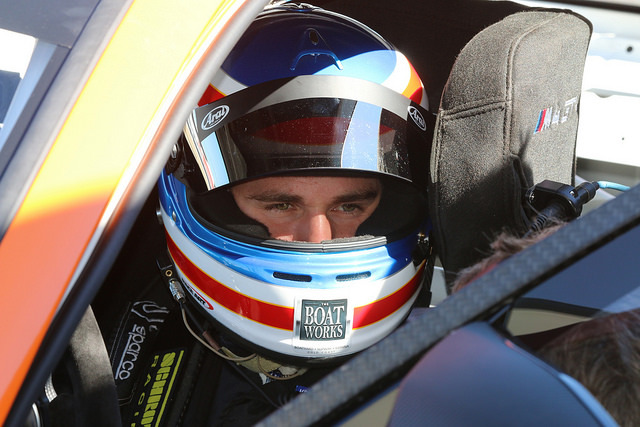 The 19-year old is looking forward to experiencing the TA2 race car in its first year as a national series, as he looks to reach his ultimate goal of Supercars. “I’m really looking forward to joining the Performax TA2 Muscle Car Series as a part of Castrol Harris Racing at the Muscle Car Masters event,” said Seton. “I’ve heard great things about the new TA2 cars, so I’m excited to get behind the wheel and experience the Mustang. Harris is thrilled to provide an opportunity to a rising star of the sport. “Glenn Seton and I have known each other since we were 16 years old racing karts, and we’ve built on that relationship ever since,” he said. The TA2 Muscle Cars will have four races across the weekend at Sydney Motorsport Park, with a full entry list to be revealed shortly. TA2 is the current evolution of America’s Trans-Am Series catering for modern V8-powered Trans-Am muscle cars, as the Ford Mustang, Chevrolet Camaro and Dodge Challenger continue a rivalry that spans generations of race fans all over the world. Racing on an equal, cost-effective platform, the cars combine the prowess of a purpose-built space-frame Howe Racing Enterprises chassis and a controlled GM Motorsport engine package developing 525 horsepower that causes every head in the paddock to turn and take notice. The TA2 muscle cars are available as a turn-key race car, ready to roll out on the grid and available for sale in Australia through PBR Distributions at Hillcrest, Queensland. Expressions of interest can be lodged via info@ta2racingaustralia.com and to find out more about the class, visit www.ta2racingaustralia.com and like ‘Performax TA2 Muscle Cars’ on Facebook.